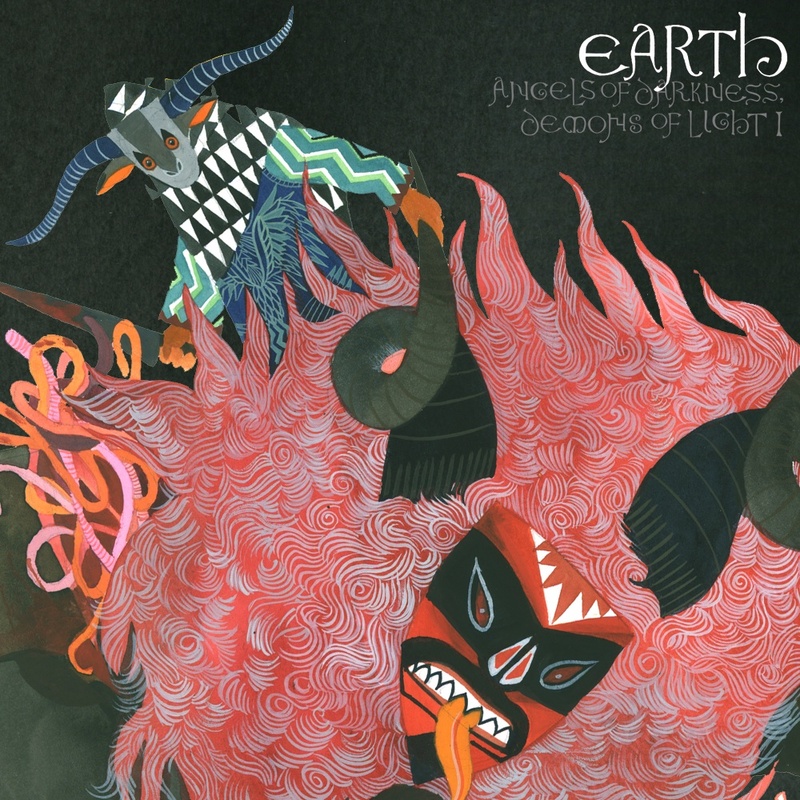 It comes with great pleasure to announce that Earth will be embarking on a five week spring tour of the UK and the continent in 2011 to promote their stirling new studio album Angels Of Darkness, Demons Of Light 1 (Southern Lord), this will be the first time this material has been performed live on UK soil. The touring line up is as follows, Dylan Carlson, Adrienne Davies, Angelina Baldoz and Lori Goldston. hymns for the current generation.”﻿. 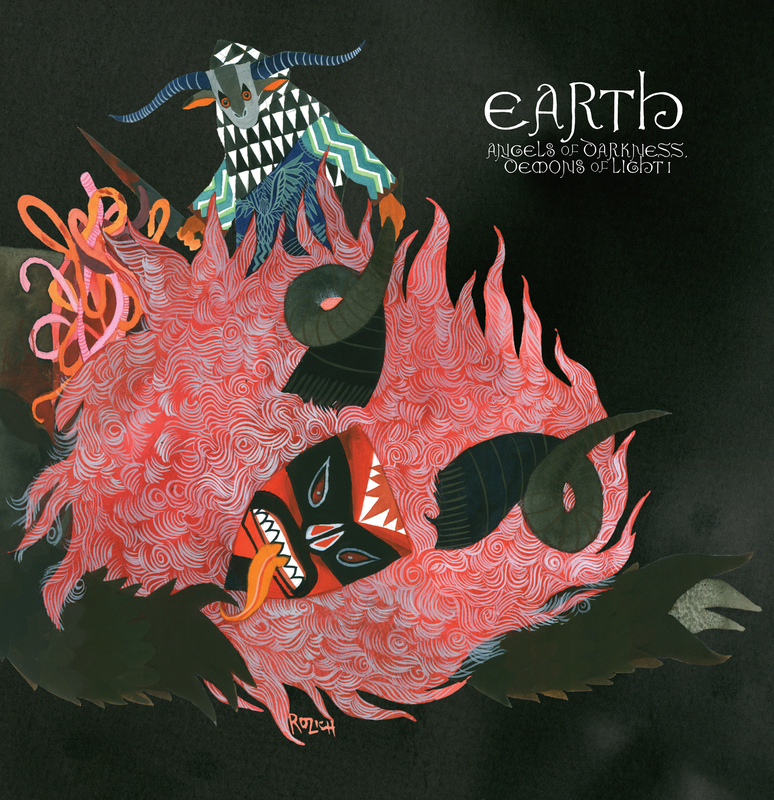 they evolve, and it is this willingness to experiment with different sounds and different musicians that has enabled Earth to remain consistently interesting and undoubtedly always unique. Convention and the North African Tuareg band Tinariwen, the new material, while still ‘heavy’ is much more fluid and melodically oriented, less dense and more textured and nuanced. It contains greater improvisatory interplay between the musicians. it cultivates the jazz infused Americana presented on The Bees Made Honey In The Lion’s Skull and as a further nod to the past, Earth returned to Avast studios to work with producer Stuart Hallerman (Soundgarden, Mudhoney, Built To Spill, and Earth2) again. On the other hand, there have been some significant changes which have given birth to yet another new sound, the main change being the line up and so joining Dylan and Adrienne on the album is cellist Lori Goldston (Nirvana, David Byrne, Black Cat Orchestra, Laura Veirs) and Karl Blau (K Records, Laura Veirs, Microphones) on electric bass. 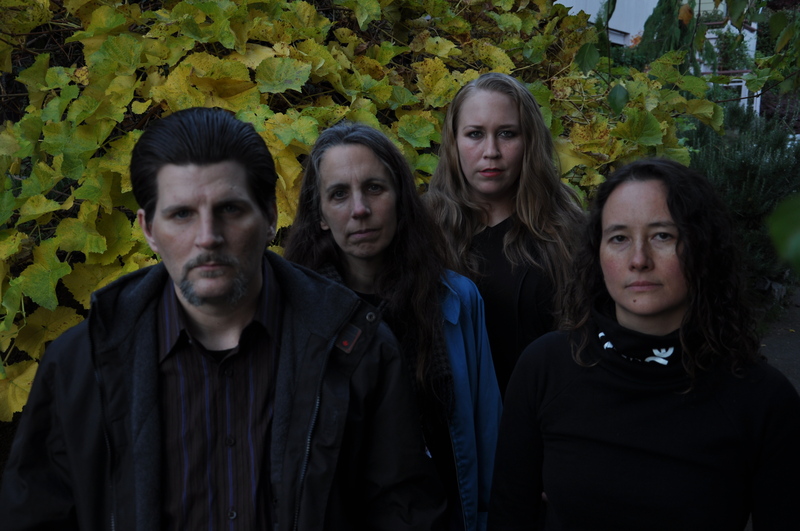 The touring band will feature Dylan Carlson, Adreinne Davies, Lori Goldston, and Angelina Baldoz on bass. drum beats finally emerge. The repetition throughout the song is seemingly simplistic, though as we all know by now, there is absolutely nothing simple about holding a note or beat for as long as Earth do. There are many breaths of fresh air in this new record, many hopeful tones and drones as well as more eerie ones. One thing is for sure, this incarnation of Earth excels all expectations. 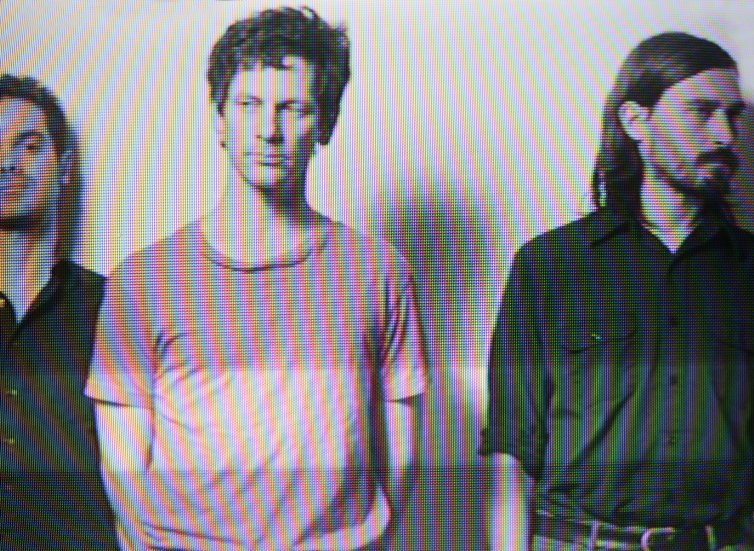 2010 was a busy year for Disappears. They finally saw their debut album Lux released, they did a fair amount of touring, and they recorded this new album. Having worked these new songs into proper shape in the live setting, they went into the studio and ripped through the recordings, using the first take on all but one of the tracks. And Disappears are so much about the NOW and not the THEN that they recorded over the same reels of tape that they used for their first album. “Guider” means to control or influence, which is what all the songs ended up being about in one form or another. Notably featuring Steve Shelley (Sonic Youth) on drums. This is a heads down, blinders on, damn the distractions, forward driving, controlled squall. Drop the needle, turn up the volume and surrender to the delicious. producer from Kiev, Ukraine. 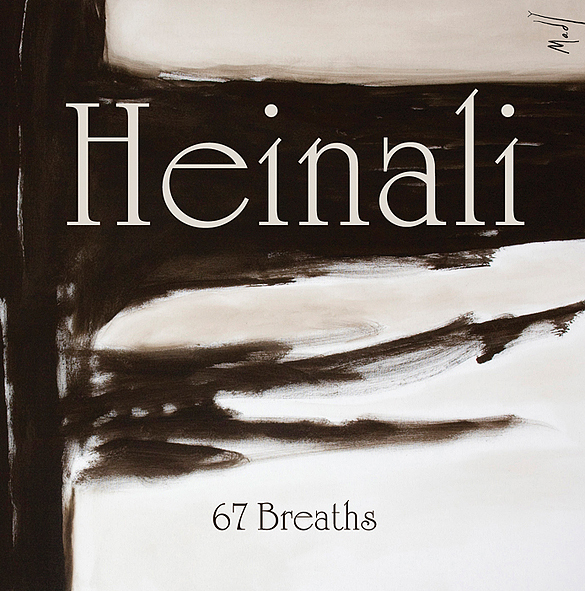 Heinali started his first experiments with music in 2003. Self-taught, he is able to create all of his music just with a home studio comprising a PC, midi keyboard and a couple of guitars. His sound has evolved with time under the constantly changing influences of different music. as Explosions in the Sky, Godspeed You! Black Emperor and Helios. Simple and minimalist, but refined and sophisticated at the same time, 67 Breaths leads us into a realm where different influences are combined creating an original and eclectic result. *On Heinali’s Tumblr are three exclusive tracks, an interview and a music video for ‘Under God’s Heaven’, a song by Heinali and Matt Finney. I strongly recommend you check them out. Arlen proudly presents Let’s Get It Straight,the new album of the Australian sound artist Tom Hall, in art AXXONN. AXXONN is a pop/synth/doom/electronic music project that transverses and mixes different genres, such as black metal, doom metal, ambient, electro and pop. The result is a unique cacophony of distorted sounds. 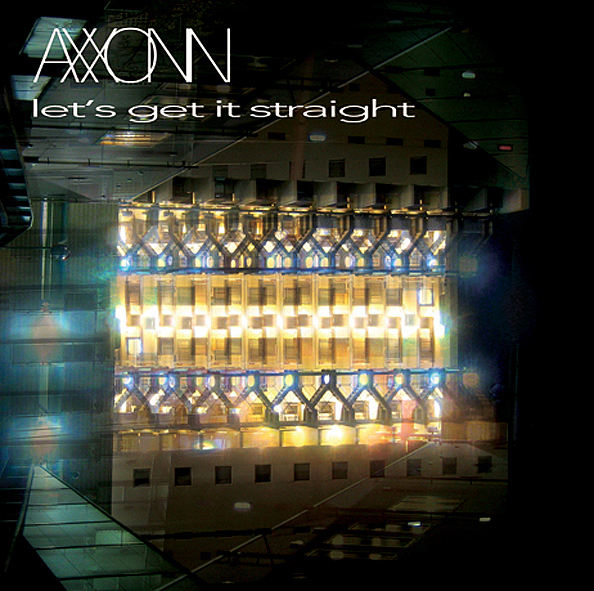 This eclectic use of influences has lead AXXONN to be grouped in a variety of sub-genres that include Stretched Metal, Art Metal, Gloom Pop and Electro Doom. AXXONN has toured extensively nationally and internationally appearing at festivals and headlining shows all over the world in the past two years. In just the past six months AXXONN has supported ISIS, Health, Lichens, Tim Hecker, PVT (Pivot) just to name a few. Let’s Get It Straight will be the artist’s fourth release. *For AXXONN video footage you can view Let’s Get It Straight live and Urine Mote live. Riot Season are proud to present a brand new album by Ultraphallus and mini tour with Hey Collosus. Sowberry Hagan was recorded in just four days in a farm near Liége. The album combines their well-honed sound of cacophonous guitar riffs juxtaposed with hypnotic, ambient doom whilst also experimenting with new sounds. By introducing new instruments to the fold including banjo, alto and soprano saxophones, and other instrumental samples, Ultraphallus have reinvented themselves and are crafting their very own new definition of doom. They have certainly pulled out all the stops for Sowberry Hagan as they have also recruited the help of special guest Eugene Robinson (Oxbow) who carries his trademark, talented voice for an epic eight minute ambient-rock track. The result is an album more dark and more encompassing as ever before. If you have yet to be consumed by Ultraphallus’ atmospheric sounds then this is a good place to start. 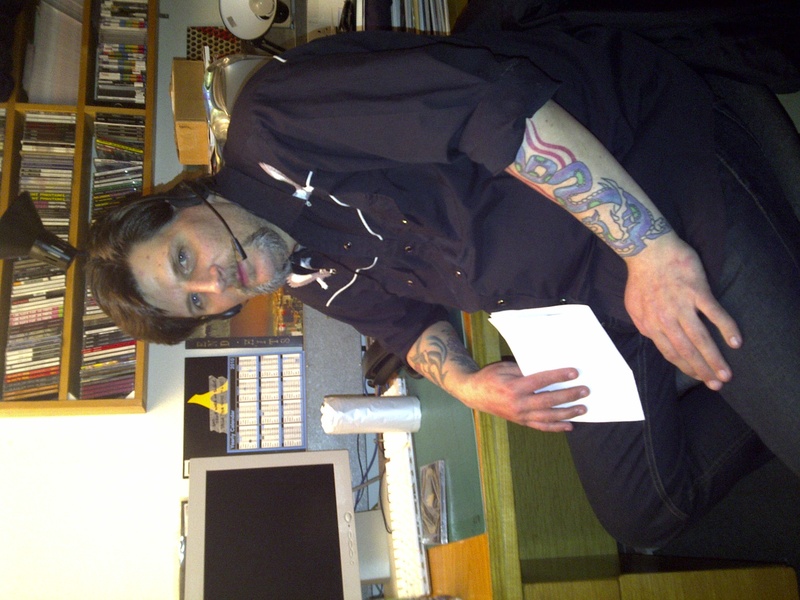 Dylan Carlson heard that it was busy at Rarely Unable HQ this December, though when he flew over for a UK press trip to promote the new Earth album, little did he know that Rarely Unable had bigger plans to recruit him as her newest PR! Joking aside, it was a fantastic press trip and a productive one too. As well as meeting and speaking to UK and European journalists, we also went along to see Daniel Higgs and Neurosis in London on the first night, both of whom were superb. And don’t worry, I didn’t make him wear that headset all the time, only once! Set for release via Southern Lord early 2011, the Live In Japan DVD captures the intriguing power, majesty and unique psychedelia that only BORIS can deliver, and will bring the band’s incredible stage act to fans who have never witnessed the band live, as well as diehards who venture out to see the act every chance they get. The footage on this official DVD release was filmed in Tokyo at the final show of the band’s 2008 Smile World Tour. 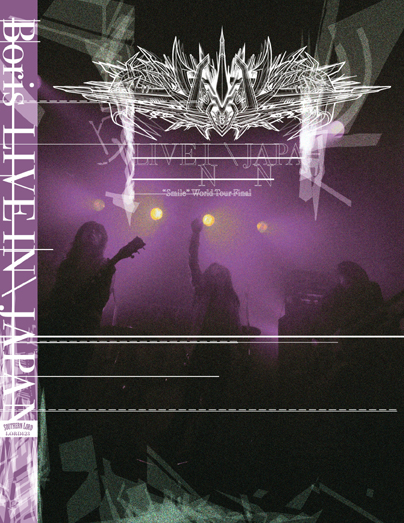 Featuring a full set of eleven BORIS originals filmed at Daikanyama Unit, as well as three bonus videos from a set at the Shibuya Club Quattro, this DVD is quite special since BORIS actually play on other continents much more often than in their home country! Check out the new trailer from the DVD here. 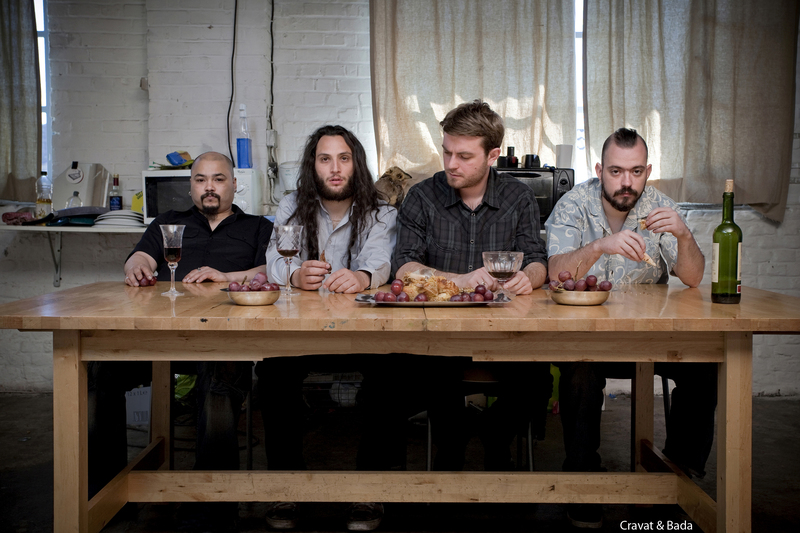 Stay tuned for more updates on BORIS in the coming weeks, as 2011 will prove to be yet another extremely productive year for one of the hardest working bands in rock!